Successfully Added Clown with Red Pigtails Mask Latex Halloween Scary Mask Cosplay Clown Party Mask Prop to your Shopping Cart. --Made from impact-resistant, Eco-friendly and poison free latex material. --Allow player to breathe freely, skin-friendly and ergonomic design. --High simulation + delicate craft for comfortable wearing. 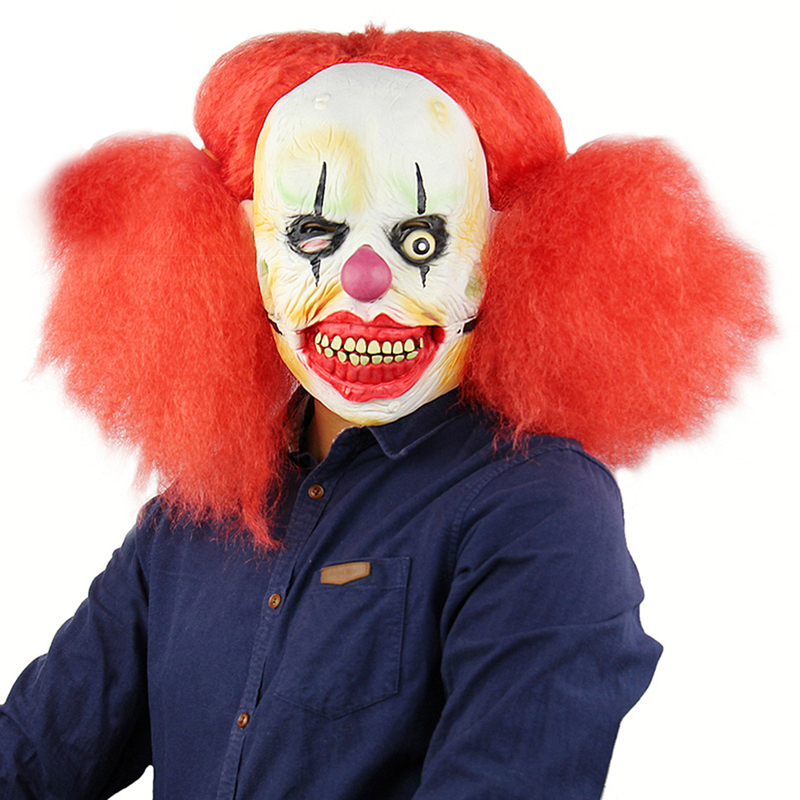 --Comfortable to wear, Great for Halloween party, makeup party use, offer horror and cool look. Note: The product will have a little taste. Note: Due to manual measurements, there may be 1-3 cm difference. Note: The colors deviation might differ due to different monitor settings, please kindly understand.